Based on reviews from 105 experts and 16,665 users. Learn how our rankings work or see our guide to Adidas low football boots. Updated Apr 2019. While there has been a steady rise in Adidas mid top football boot releases in recent years, Adidas low top football boots are still a mainstay in the industry. Choosing which style of football boot to use can be pretty daunting, especially for newcomers in the sport. Hence, knowing the pros and cons of each style can significantly help in the decision-making process. Adidas low top football boots provide ample ankle freedom. Because the ankle is exposed when using Adidas low top football boots, it provides more freedom in ankle movement, especially when the player is fond of making lateral movements. The ankle can twist and turn freely. Excellent examples of Adidas low top football boots that allow ankle freedom are the Adidas X 17+ Purespeed Firm Ground and Adidas Ace 17.1 Leather Firm Ground. Adidas low top football boots are comfortable to wear. Adidas low top football boots have a padded ankle area. Thus, they are more comfortable and could protect against getting blisters in the heel as well. The Adidas Copa Mundial and the Adidas Copa 17.1 Firm Ground are among the heavily padded low top football boots from the German brand. Adidas low top football boots are more lightweight. 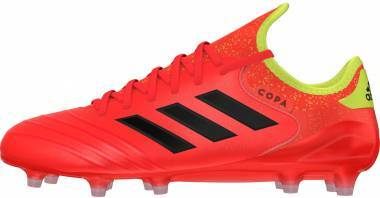 Adidas low top football boots are generally more lightweight compared to Adidas mid top football boots and Adidas high top football boots. The apparent reason for this is because low top football boots do not have the extra material that could weigh the foot down. One of the Adidas low top football boots is the limited-edition Adidas adiZero launched in 2016. It only weighs 99 grams. Adidas low top football boots do not provide ankle protection. When the ankle is exposed, it is vulnerable to external injuries which are inevitable for sports such as football. Collars add a layer of protection for the ankle. This is not achieved when wearing Adidas low top football boots. Ankle collars also lessen the amount of rainwater, dust, and any external particles that may enter the shoe. This is especially true for Adidas high top football boots that have very elastic ankle collars. Popular Adidas high top and mid top football boots include the Adidas Predator 18.1 Firm Ground and Adidas Ace 17+ Purecontrol Firm Ground, respectively. Adidas low top football boots do not offer enough ankle support. 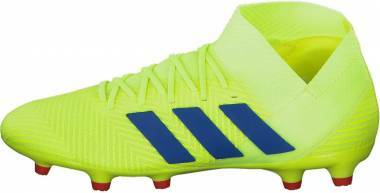 Adidas high top football boots offer the ankle support that is absent from the Adidas low top football boots. The collar also provides sufficient stability around the ankle area. Players who have had previous ankle injuries may benefit from wearing Adidas high top football boots. Primeknit is made up of yarns that are digitally knitted together to form one piece of material that is both durable and lightweight. Every part of the upper is fine-tuned to provide the necessary amount of support, stability, and flexibility. Each piece of yarn is coated with high-precision to ensure that the football boot is water resistant. An Adidas low top football boot with a Primeknit upper wraps around the foot for a sock-like fit. The revolutionary Primeknit was first used in Adidas running shoes. The Adidas Samba Primeknit was the first Adidas football boot to feature this remarkable technology. The Primeknit is similar to Nike’s Flyknit technology found in the Nike Flyknit Ultra. This unique technology uses revolutionary Torsion Tapes that are sewn together to create a one-piece construction upper. It offers an almost custom fit and keeps the foot locked in during the fast-paced game. Likewise, this bandage-like material enhances the player’s natural feel of the ball. 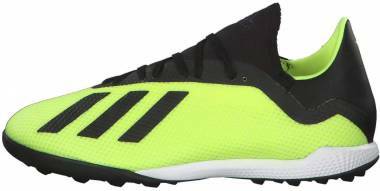 Because the Agility Bandage has an elastic nature, it is possible to produce a laceless football boot such as the Adidas Nemeziz 17+ 360 Agility Firm Ground. The AgilityKnit technology is made up of interlocking yarns that offer a soft, direct touch on the ball. Two version of this technology is available on various Adidas low top football boots. The AgilityKnit 1.0 was used on the now-retired Adidas Messi 16 line, while the AgilityKnit 2.0 was used on the Adidas Nemeziz 17 silo. The Non Stop Grip, or NSG, is used on the upper of high-end as well as some takedown Adidas football boots. NSG is composed of 3D dots which ensure that the football boot maintains the same level of grip in all weather conditions. Just like Under Armour, Adidas has also created a special line of football boots for women. They are specially engineered based on the female foot with an emphasis on the shape, design, and traction. Because the female foot has a narrower footbed and a lower in-step, the Adidas low top football boots for women used a new outsole tooling. The smaller diameter and shorter height of the studs were deliberately designed to enhance linear and rotational traction of female users. The Adidas Ace 17.1 Women’s is structurally designed to accommodate the female foot shape and physiology. Popular female athletes who headlined this football boot are US Soccer Women’s National Team Captain Becky Sauerbrunn and Morgan Brian. It comes in the Platinum Metallic/Core Black/Core Red colorway. This Adidas low top football boot is part of the Metallic Shimmer Pack launched in 2016. The Adidas X 17.1 Women’s is also part of the 2016 Metallic Shimmer Pack launched especially for female athletes. 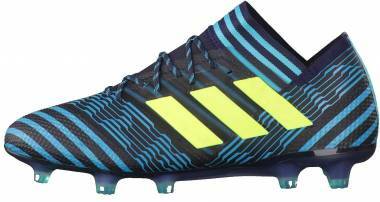 This Adidas low top football boot was worn by the likes of Emily Sonnett, Lindsey Horan, and Danielle Colaprico. It features the Black/Metallic Platinum colorway. This Adidas low top football boot comes in two colorways, namely the Trace Blue/Red Zest and White/Easy Coral. The modified studs of the Adidas Nemeziz 17.1 Women’s have a slightly altered positioning to adjust to the needs of female footballers. 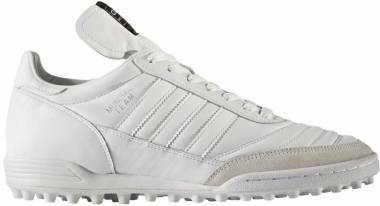 Are Adidas low top football boots better than Adidas high top football boots? Performance-wise, wearing an Adidas low top football boots will not make you a better player than when you wear a high-top football boot. Simply put, it all boils down to the user’s preference. Some players want better ankle freedom, while some may want to protect their ankle from external injuries. Which Adidas low top football boots should I use when playing on firm grounds (FG)? 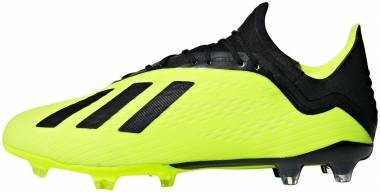 There is a wide selection of Adidas low top football boots for use on firm, natural grass. These include the Adidas Kaiser 5 Liga, Adidas Nitrocharge 4.0 Firm Ground, and Adidas X 17.3 Firm Ground. Are there Adidas low top football boots that can be used on soft grounds (SG)? The Adidas World Cup, Adidas 17+ Purespeed Soft Ground, and Adidas X 17.1 Soft Ground are best for wet, muddy fields. 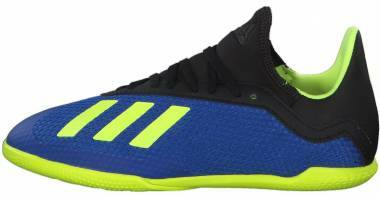 What Adidas low top football boot models should I use if I want to play on turf fields (TF) and indoor courts (IC)? 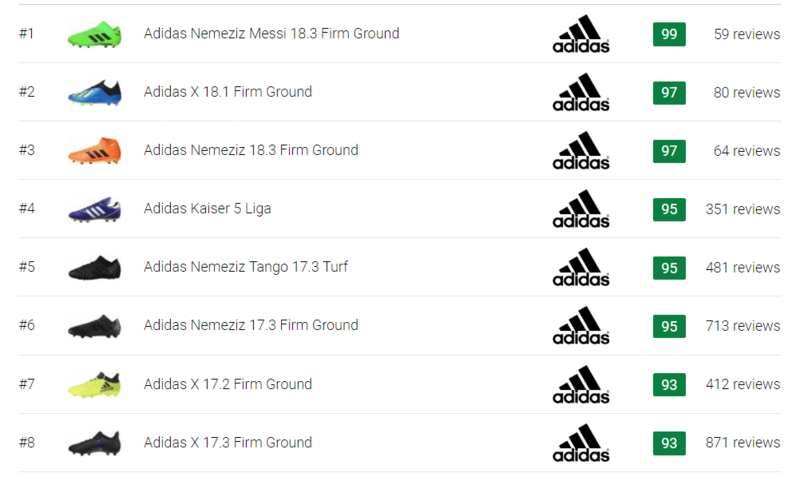 If you are fond of playing on artificial turf surfaces, then the Adidas Nemeziz Tango 17.3 Turf and Adidas Copa Tango 17.1 Turf are among your best bets. When playing on hard, concrete surfaces, using the Adidas Samba Classic and Adidas Mundial Goal will help you get the best possible grip on indoor courts. Can I play on artificial grass (AG) surfaces using my FG football boots? Technically speaking, using firm ground football boots on AG surfaces is not advisable. 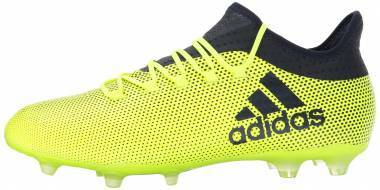 There are Adidas low top football boots that were made specially for AG surfaces, such as the Adidas Predator 18.3 Artificial Grass and Adidas X 17.3 Artificial Grass. Fortunately, recent developments have allowed shoe manufacturers, especially Adidas, have created low top football boots that can be worn when playing on both FG and AG surfaces.Some examples of these football boots include the Adidas Ace 16.2 FG/AG and Puma Future 18.1 Netfit FG/AG.